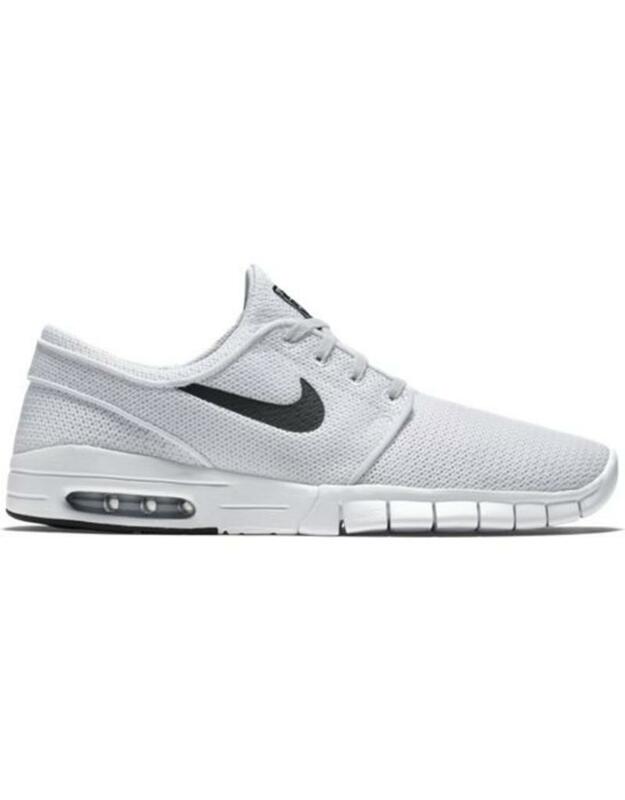 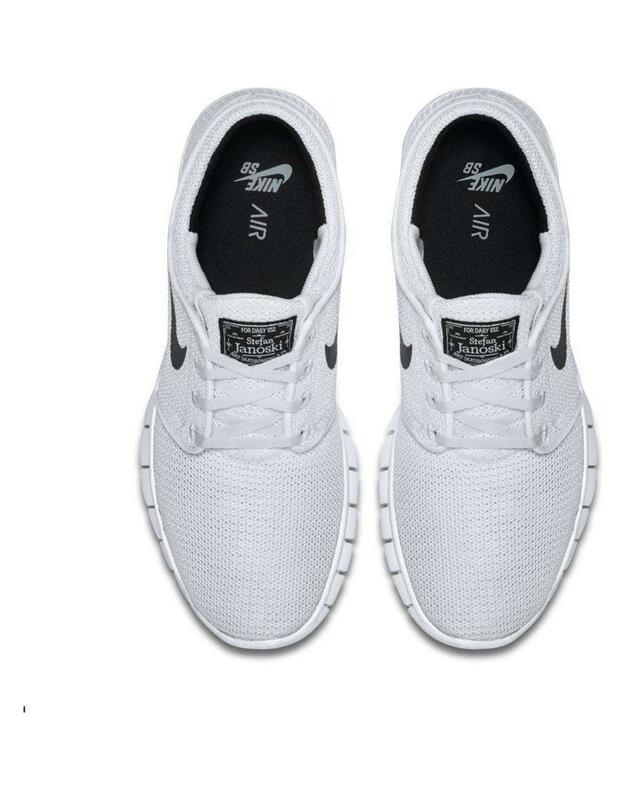 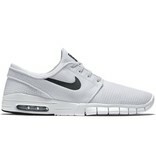 Nike SB Janoski Max Shoes in white/white. 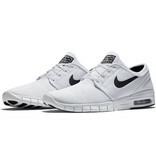 These are the classic Stefan Janoski Pro shoe upper put onto the classic Nike Air Max sole. These shoes are low profile with premium cushioning and perfect to throw on after a long day out skating. 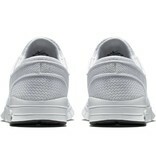 They are full mesh which makes them super lightweight and very breathable. 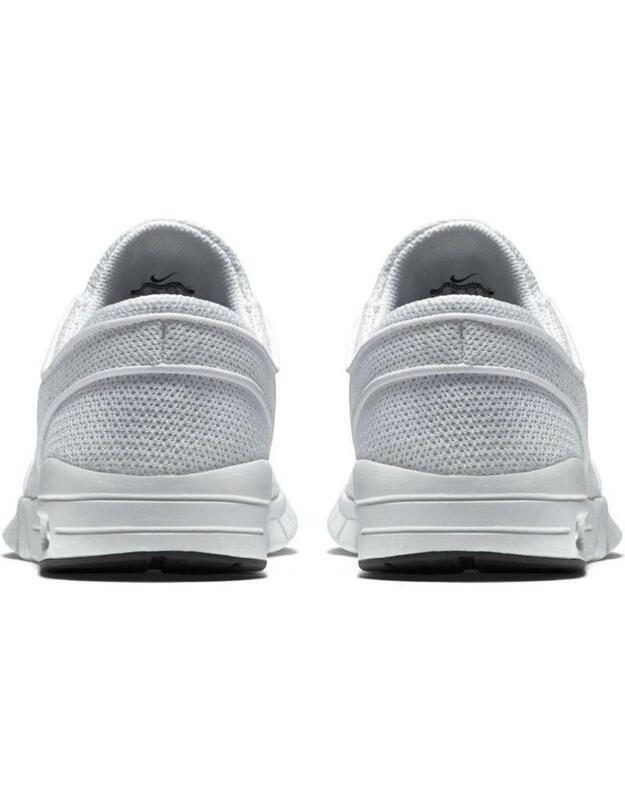 They also feature an AirMax sole for extra comfort with deep flex grooves in the sole that let it bend perfectly with your foot. 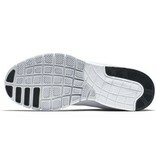 The soles also have dual density rubber for the high wear zones on the sole to make them more durable. 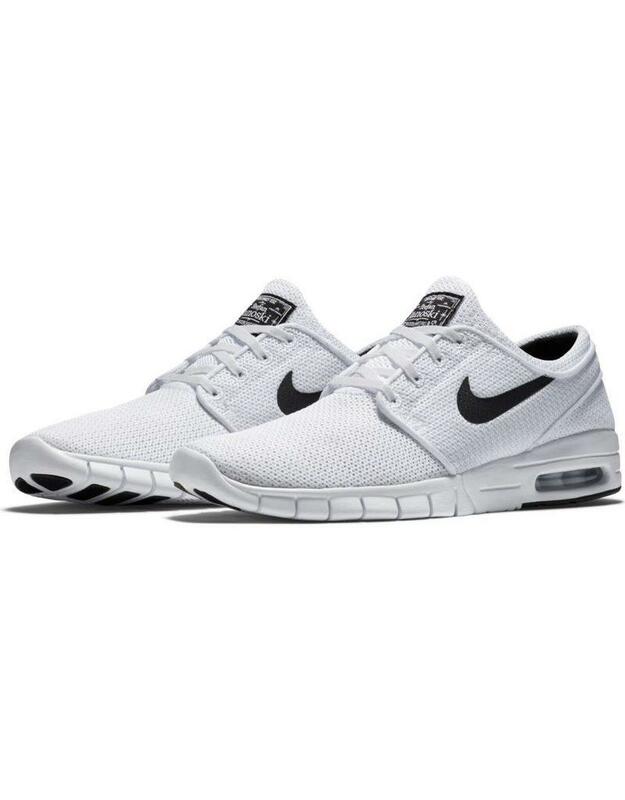 Nike SB Janoski Max Shoes Online Canada.